Things I liked: It can be setup with the bubble even to the line of sight, that way when looking through the scope with both eyes open the bubble is directly in front of your other eye eliminating any need to look back and forth from sight picture to level. Things I would have changed: Screw on thread needs to be shorten by a mm as to not poke thru and scratch the scope tube. Use the higher mount to avoid this. Things I liked: Gives a lot of options for mounting which on occasion is necessary. Good quality. What others should know: I think its a little pricey and there are others that are much cheaper. If your set up will allow use of one of those, they may be a wiser choice. Things I liked: It mounts easily, and holds firmly to my 3x9-50 scope on a RWS 350; getting the scope to shoot accurately is nearly impossible if the scope is not level on a level rifle. This bubble is always there to show me if I am holding level with the scope and rifle on target. What others should know: Be patient when mounting this on the scope and leveling it, do it properly and you will never have to adjust your scope again once you have it sighted in. The perfect tool for bulls eye accuracy. What others should know: If you want to get rid of scope cant this is the item to install. 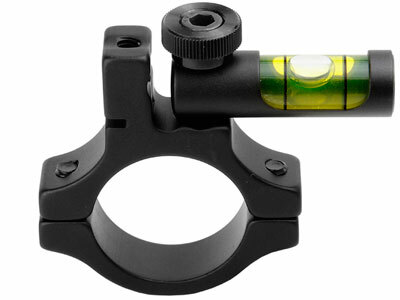 It well improve your accuracy with a constant sight picture through your scope. Things I liked: It cost alot less than the US Optics level I biught for my 338 Lapua mag It works just as well so far on my RWS 470TH and in sone ways better because of the different possible mounting positions.